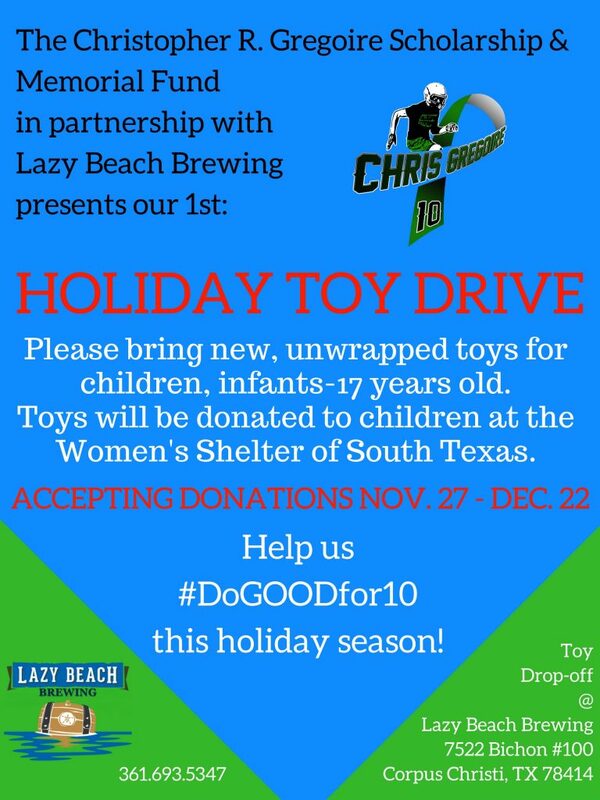 Please consider donating a toy to our Toy Drive at Lazy Beach. All toys will be donated to children at the Women’s Shelter of South Texas. We are accepting donations through 12/22/17. The taproom is open from 5-9 PM tonight. This Thursday we have Thursty Yoga with Ashley Chapa from 6-7 pm. $15 at the door which includes your class fee and your first beer.